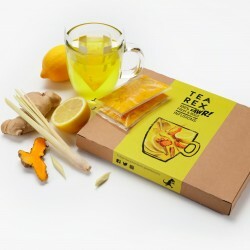 Tea Rex are flavour addicts, who have had enough of bland fruit teas. Their blends are caffeine free and contain no added sugar or artificial flavourings, just amazing tastes, colours and all-round goodness. 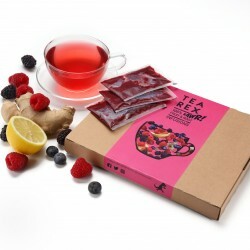 They use ethically sourced raw ingredients and cold-press them to naturally cram all the flavours, vitamins and nutrients into a raw blend ready for you to just add hot water. This clever process keeps their blends 100% fresh with a 12 week chilled shelf life and zero added nasties.